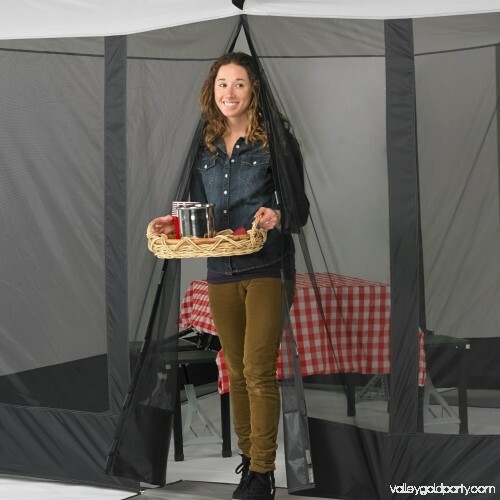 The Tailgaterz Magnetic Camping Screen House gives you protection from insects while providing convenience when your hands are full. 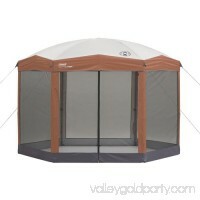 The front and back magnetic doors provide easy and hands-free entry and exit thanks to its automatic closure design. 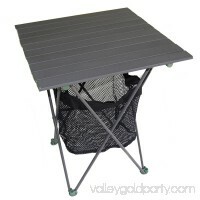 The perimeter floor and 11-foot by nine-foot footprint makes set up easy and allows for placement over a picnic table. 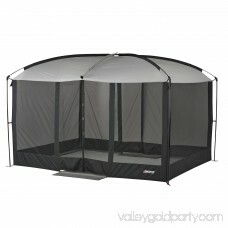 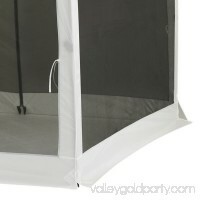 The sturdy steel and fiberglass frame on this outdoor screen house is strong and durable. Large mesh walls keep the insects out and the breeze comfortably blowing through. 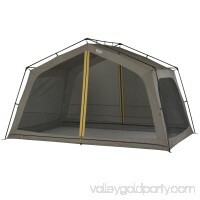 It includes built in mats that cover the front and rear thresholds. 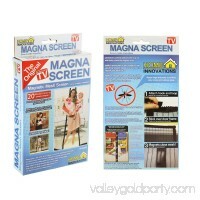 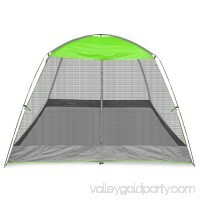 This Tailgaterz Magnetic Camping Screen House is durable for long-lasting use. 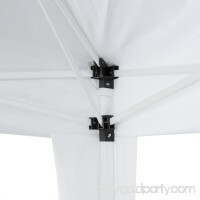 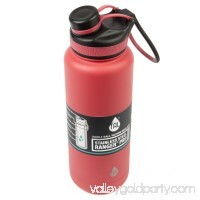 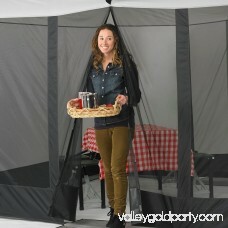 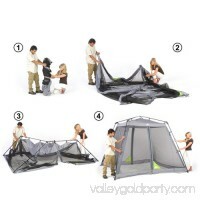 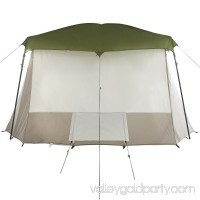 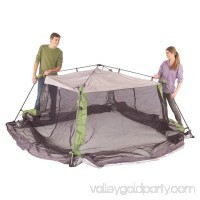 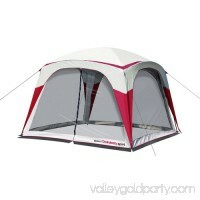 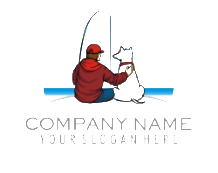 It will easily fit over a table in your backyard and would work well at any campground.